The Robert & Marilyn Sprague Gift Shop is located on the first floor of UC Irvine Douglas Hospital. Our staff is happy to help you choose a perfect gift to welcome a new baby, encourage a speedy recovery or thank someone who has been especially helpful. 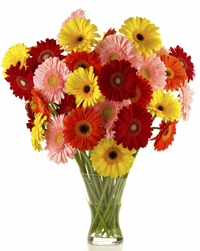 For questions or to order a special gift, floral arrangement or other item, call 714-456-5355. With some exceptions, gifts are delivered within one hour, excluding The Online Store. We accept all major credit cards. The gift shop is closed Sundays on all major holidays. If you have ordered a gift from the hospital gift shop, orders received by 4 p.m. will be delivered by 5 p.m. Orders received after 4 p.m. will be delivered the following day by 10 a.m.
Due to hospital regulations, we cannot deliver flowers to any intensive care unit, including the neonatal intensive care unit (NICU). If you have any questions about the delivery of a gift from the hospital gift shop, please don't hesitate to call us at 714-456-5202.